Do you create stunning videos with your action camera? Videos where you careen through a canyon at death-defying speeds, or “ride” your tiny model trains? GoPro wants to license those videos to advertisers looking for premium footage, and pay you for the privilege. 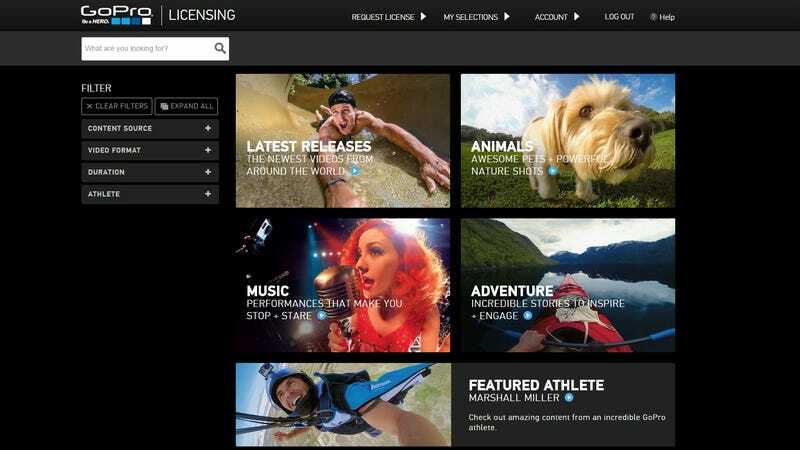 The company just opened a new GoPro Licensing portal, where you can actually already find those exact pieces of footage for sale. Prices start at $1,000, according to Adweek, though a lot will depend on where a prospective client wants to display the footage, and for how long—much like with Getty Images, Shutterstock and other stock multimedia sites. Crucially, it’s not clear how much of that money GoPro will keep, and how much it will share with content creators. But if the terms are good, it seems pretty likely that we’ll see more GoPro footage popping up in ads. Footage that might have originally been shot by athletes, daredevils and video professionals for their own pleasure—not just by creative agencies looking to sell the latest idea.